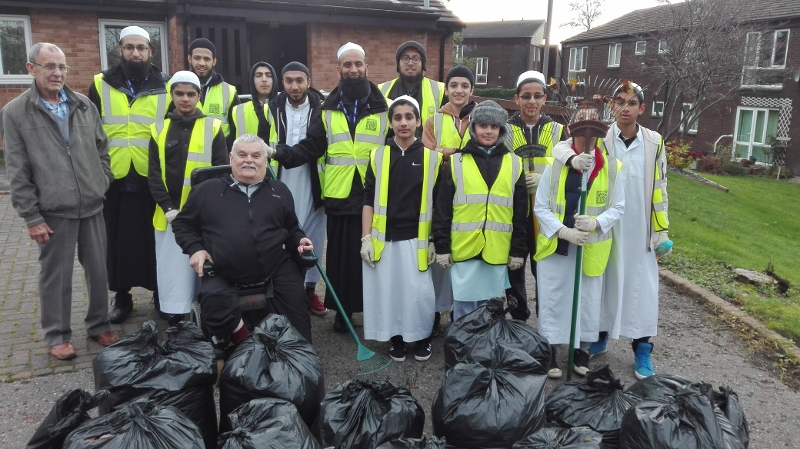 When tenants at a residential home in Mirfield discussed the need to clean the grounds of their homes, one youth group from nearby Savile Town were on hand to lend some much needed ‘green’ hands. Around 16 young teenagers from Kumon Y’all, headed down to Crossley House Residential Care Home on 15th November to complete their latest cleanup project. 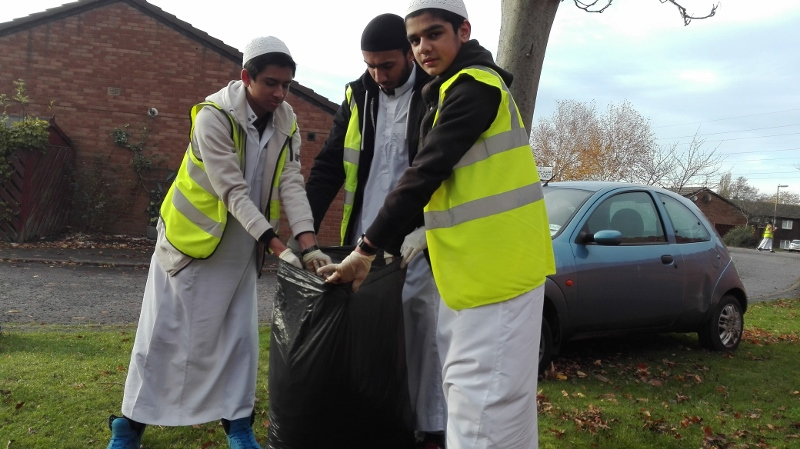 With the aim of building bridges between communities, the determined group filled 22 bags with leaves and litter as they transformed the gardens of the homes. Farook Yunus, team leader at Kumon Y’all, was the orchestrator of the event. After meeting with the Crossley Tenants Resident Association (TRA) earlier in the week, he said he was determined to ‘make new friends’ through the tidying up project. “This is the first time we have worked with Crossley TRA and it was a great success,” Farook said. “Through previous projects like this, we have realised that there just isn’t the funding to clean up the grounds of a lot of these residential homes so we are happy to help where we can. “In our latest project, we were working alongside two of the residents and the smiles you got from them were amazing. You can’t buy that sort of thing and it really motivates the children involved. Kumon Y’all have held similar initiatives in Thornhill Lees previously, with clean-up operations taking place at both Walker Street and Charlesworth Court. Farook says the group are now increasing their outreach by attempting to create cohesion with the residents of Mirfield. Kevin Ryan, a resident at Crossley TRA Mirfield thanked the volunteers for their support. “I would just like to thank you and all your volunteers for doing a first class job on our Tenants and Residents Association complex on Tuesday which is most appreciated,” he said. The army of cleaning volunteers ranged from ages 13 to 15, with many attending the local Institute of Islamic Education. Teachers from the school also joined in with the tidying on the day, including Molana Mahmood Sacha. After the event, he said: “Students and staff from the Institute took great delight in helping out with the clearance at Mirfield Residential Homes.